Nicole Richards is a human resources specialist (recruitment & placement) for Defense Finance and Accounting Service (DFAS). She has lived on the southside of Indianapolis for 34 years. Her family includes incredible parents, two sweet grandmas, one sister who doubles as a best friend, five crazy brothers, two furry dogs that are her kids, many aunts and way too many cousins to count! Nicole says her favorite family member is her baby nephew, Mason. 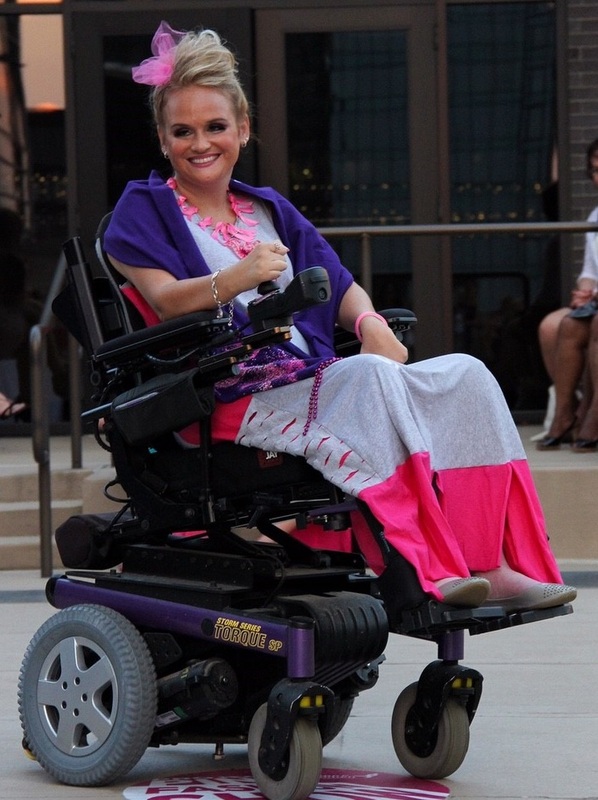 In 2000, Nicole was injured in a serious car accident that left her paralyzed. In 2013, Nicole confronted another challenge when she was diagnosed with breast cancer (invasive ductal carcinoma) at age 31 with no family history. She is still going through the reconstruction process, but is happy to say she’s in remission and a proud survivor! Nicole is returning to the Project Pink runway again this year to raise awareness about the local Komen mission. Favorite vacation spot: Miami or Las Vegas – I can’t pick just one! Dream car: Whatever my wheelchair can fit in. I’m thinking an accessible truck is in my foreseeable future. Favorite color: #PinkIsTheNewPurple and Colts Blue! Bragging rights: I carried the Olympic Torch in 2002!